Thanks Penguin for all his work on this! how to exit from settings ? I'm not sure how to work around this problem. One idea would be to call it "Emoji+" or Emoji deluxe or extended or whatever... as it's perior to the 3 smilies provided by Jolla. 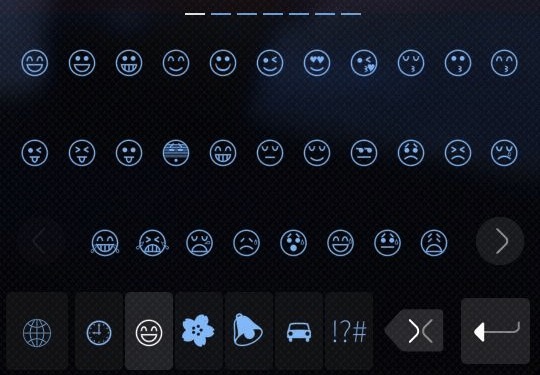 Don't know the future plans of Jolla regarding their emoji keyboard, but for now let's call this one Emoji+ then. Can you add ios's emoji? Just adding another thank you! Really good work on this fork! Thanks ade! Would you mind maintaining a constantly available fork that also removes the google analytics stuff for good? I am not really waiting for even more apps to feel responsible for. First let see if the author (Penguin) picks up the matter. There is -no- "Google analytics stuff", -just a-usage-report-function- but one can switch it off in Emoji keyboard's settings. Edit: It clearly denotes this functionality in its description. Did you have a look at the code before replying? Google analytics is indeed used to collect statistics. Sorry, no. Still it can be easily switch off (which I have), right? 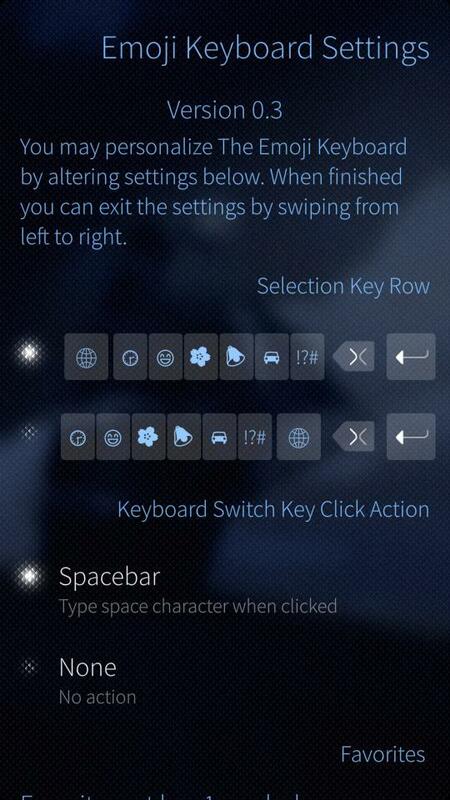 Although there is an unconfirmed report that it might switch on again when entering the settings page (https://github.com/JanneEdelman/the-emoji-keyboard/issues/17), which is also my experience. Well, this was discussed here on Openrepos as well, which alerted me, but I was not able to properly reproduce this behaviour (i.e. turning itself on again). Anyway, IMHO its issue tracker is rather the right place to discuss fixing this perceived bug (or the elimination of this "functionality") with the author (Janne Edelman). Side note: While I do not like apps "calling home" and specifically Google analytics, IMHO this is up to a software's author and basically O.K. for me, as long it can be (really) switched off. The problem is it's enabled by default (and really, what kind of statistics do you need from a keyboard)?